Jumping 42 years ahead from the last post, this installment of Zayde’s Turntable gives us one of the classic doo-wop groups singing the song that made them famous. Vee-Jay Records 147 is a must-own for anyone serious about ‘50s doo-wop, rock, or R&B and it takes us from the last post, with one of the earlier 78s of the 20th century, to one of the last batch of 78s released before the onslaught of the 45RPM and the LP (33-1/3RPM). 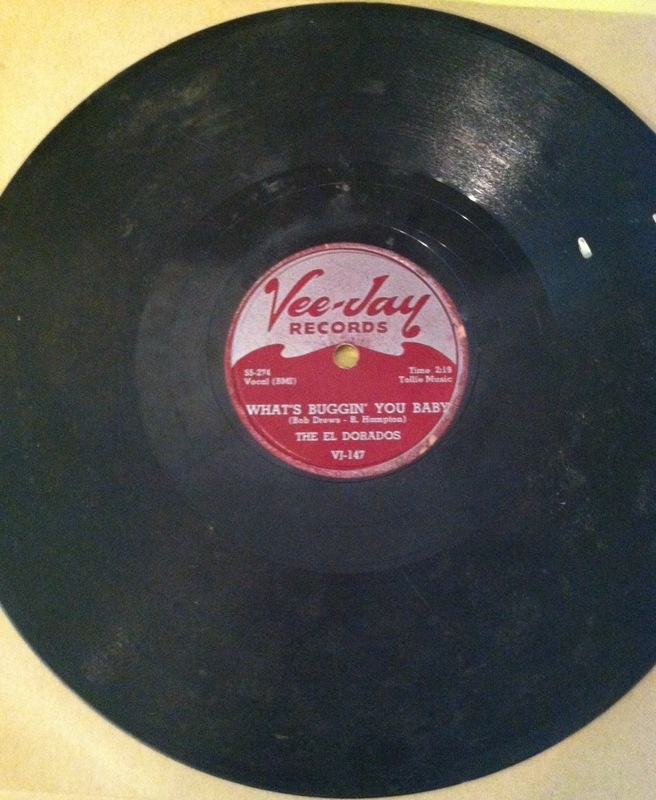 The Vee-Jay label was founded in 1953 by the husband and wife team of Vivian Carter (“Vee”) and James Bracken (“Jay”) and was the first major record company to be owned and operated by African-Americans. Vee-Jay was a R&B powerhouse – their very first song made it onto the Top Ten of the national R&B charts. While they stayed fairly consistent with R&B and blues artists throughout the 1950s the company branched into soul in the 1960s and was the first to nationally release a recording by The Pips (later Gladys Knight and the Pips). After soul the label added on rock and roll acts, which is where some of their most famous talent would end up performing: The Four Seasons (Vee-Jay’s first non-black artists) and The Beatles. Down the road they added Little Richard and even an album with Jimi Hendrix and Billy Preston in 1965. The label started dabbling in other genres, including a small jazz line, some gospel albums, and even (on 33-1/3PM LP) some comedy records. 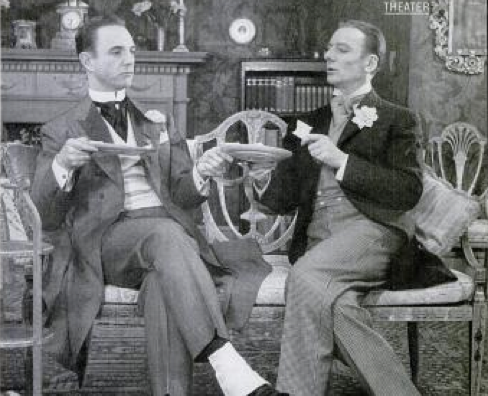 Vee-Jay only issued only style of label on their 78s (left) before changing exclusively to LP and 45-RPM records. 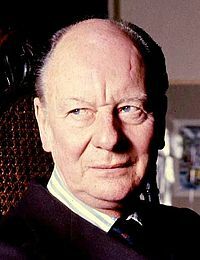 Vee-Jay was at its commercial peak from 1962 to 1964 thanks to The Four Seasons and their distribution of early Beatles albums (tracks included “Love Me Do,” “P.S. I Love You,” and “Twist and Shout” among several others). Beatles record sales exploded for Vee-Jay in 1964 after the British Invasion and the company’s high-water mark was the sale of 2.6 million Beatles singles in just one month. This album is in fair condition. It has moderate wear and scratches on both sides, with the expected impact on the quality of the recorded audio (pops, hisses, etc. ; the audio of my versions, linked to below, is not ideal and I strongly encourage you to search elsewhere on YouTube for better quality audio of these two great tracks). 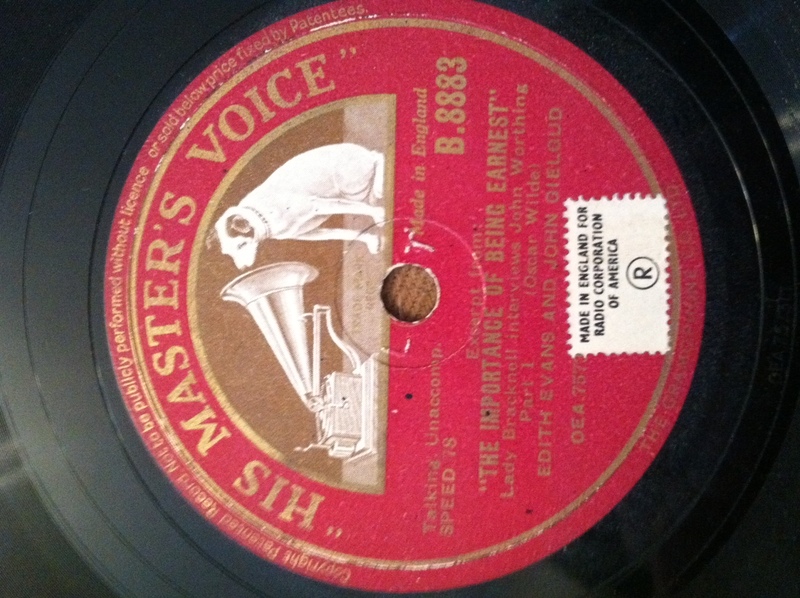 The B-side has two dried paint drops on it, which cause the disk to skip briefly at each point. It is an electrically recorded 10-inch diameter 78-RPM black vinyl disc with lateral grooves and a ¼” spindle hole. 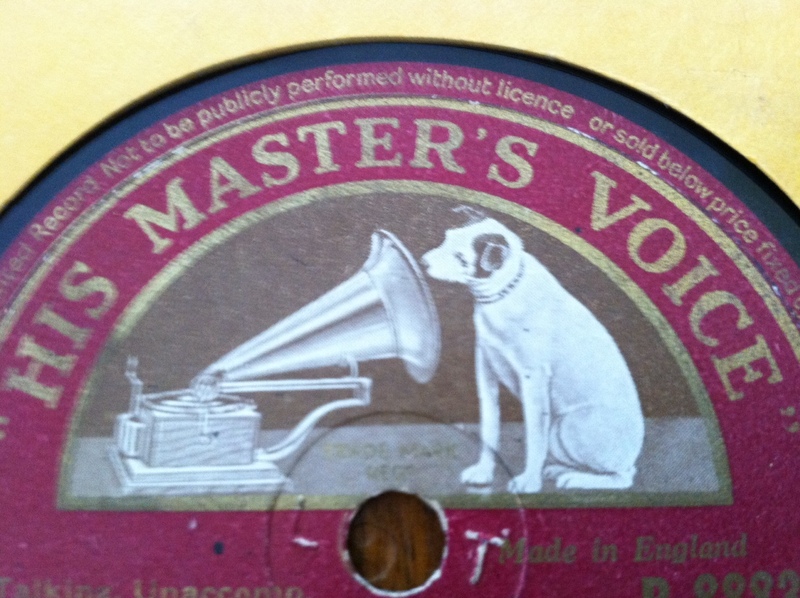 The label is not paper glued onto the vinyl, as was common on most 78s, but is, instead, painted directly onto the vinyl. The record catalog number is Vee-Jay 147. 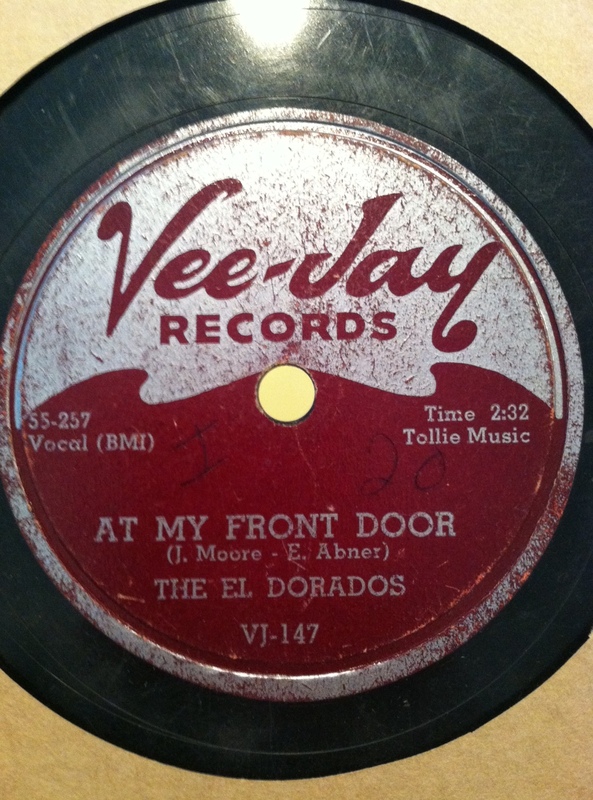 The A-side recording features the El Dorados singing their chart-topping hit “At My Front Door” by John Moore (?) 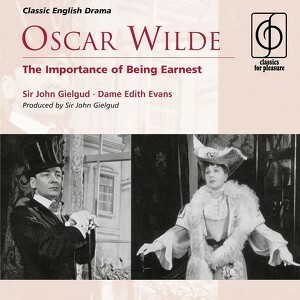 and Ewart Abner (1923-1997); the master number is 55-257 and it was recorded on April 24, 1955. It runs 2 minutes and 32 seconds and was produced by Tollie Music. 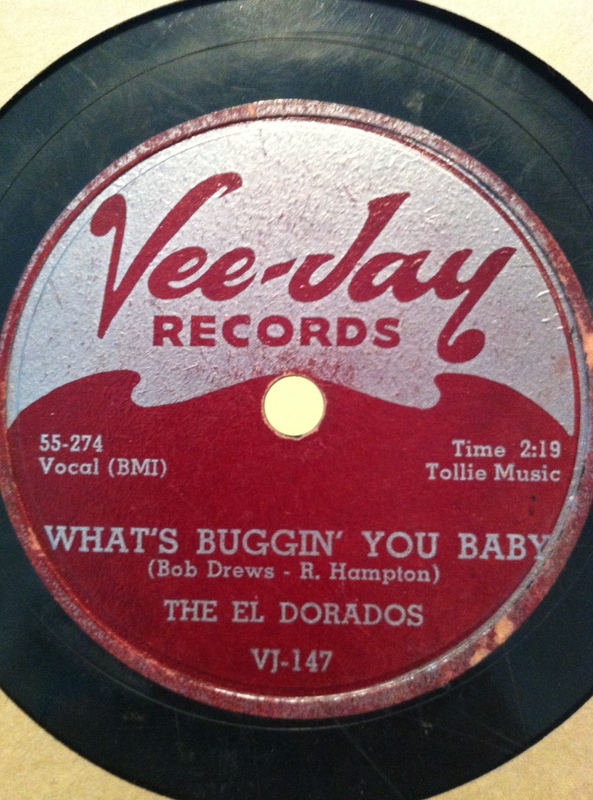 The B-side recording also features the El Dorados singing “What’s Buggin’ You, Baby?” by Bob Drews and Riley Hampton (1918-2006); the master number is 55-274 and it was recorded on June 8, 1955. It runs 2 minutes and 19 seconds and was also produced by Tollie Music. Les Docks sets the value at $7-$10. To my surprise, I was not able to find any other copy of the 78RPM version of this album for sale online; there were fully 18 people selling the 45RPM version of the album (many calling it “rare”), for between $4 and $65, with an average asking price of $25. Given that the album is not terribly scarce and the quality of my copy of it is only fair, I would set the value of my Vee-Jay 147 closer to $4-$7. In Chicago in 1952 Pirkle Lee Moses pulled together a doo-wop vocal group that called themselves “Pirkle Lee and the Five Stars.” The other members included tenors Louis Bradley and Arthur Bassett, second tenor and baritone Jewel Jones, and baritone/bass singers James Maddox and Richard Nickens. Pirkle left the group briefly to serve in the Air Force and when he returned in 1954 they changed the group’s name to “The El Dorados.” Carter, from Vee-Jay, heard them sing in Chicago in 1954 and signed the group to the label. Their first three Vee-Jay albums were flops commercially but, in 1955, they released their fourth Vee-Jay record, number 147. It was a smash hit, quickly rising to #1 on the Billboard R&B chart and #17 on the pop chart. Their next album with Vee-Jay, number 165, also placed in the R&B top ten in 1956. 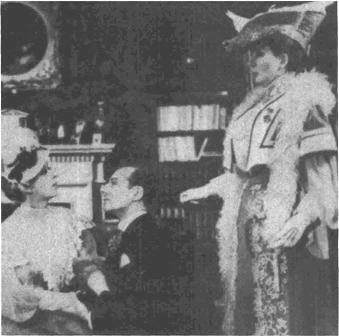 That year Basset and Nickens left the group and The El Dorados tried to make a go as a quartet. It didn’t work out, though, and the group went their separate ways in 1957: Pirkle, still in Chicago, reformed the group with all new members and Bradley, Jones, and Maddox moved to California and formed a new group called The Tempos. Pirkle’s new group wasn’t to Vee-Jay’s liking and the label dropped them in 1958, after releasing a total of just eleven El Dorado singles from 1954-1958. “At My Front Door,” also called “Crazy Little Mama,” was a smash hit and propelled the El Dorados to significant fame in the 1950s. It was covered by Pat Boone (in a version that was panned by some critics), Myron and the Van Dells, and Ringo Starr, among many, many others over the years. As a doo-wop/motown classic it is a standard for countless contemporary groups that perform the style (search YouTube for either version of the song’s title and you’ll see). In 1955 the wildly prolific piano roll artist J. Lawrence Cook (1899-1976) made the piano roll version under the pseudonym Pep Doyle. It was such a hit that Vee-Jay made it the title track on their first ever LP: “Crazy Little Mama” in 1957. The cover of the LP (VJLP-1001), with the title track “At My Front Door (Crazy Little Mama)” by the 1955 El Dorados. 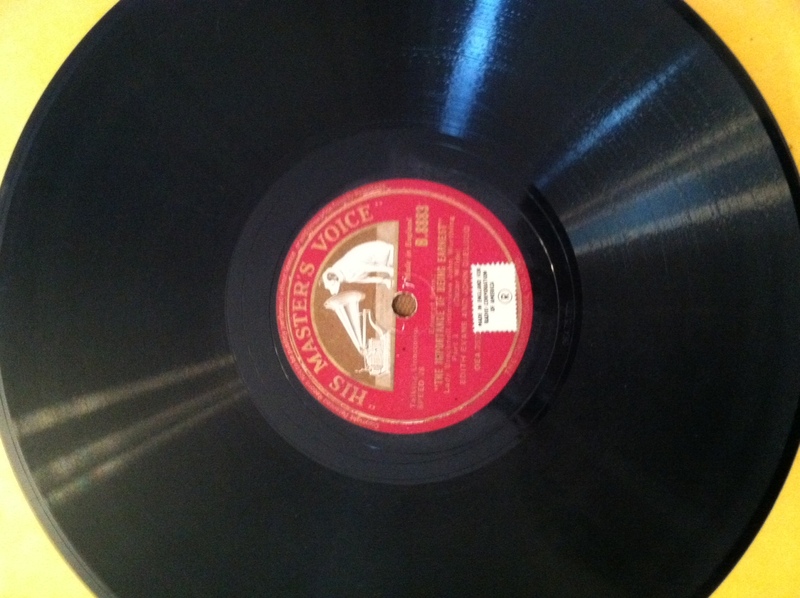 Click to hear the original 78-RPM version from the album in my collection. 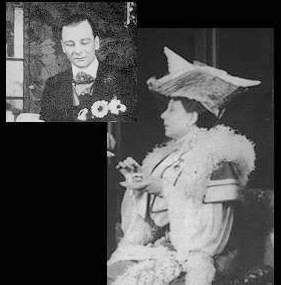 Ewart Abner, around the time Vee-Jay 147 was made. Ewart Abner, credited on “At My Front Door,” joined the label in 1955, first as manager, then as vice president, and ultimately, as president from 1961 to 1963, when it was the most successful black-owned record company in the world. 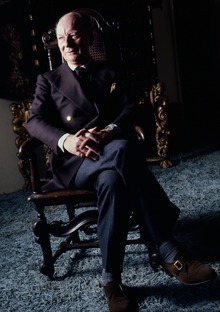 It was under Abner’s leadership that the label got The Beatles first U.S. albums – as a “throw in” in a deal with Trans-Global/EMI for the artist they really wanted, Frank Ifield. Cash flow problems caused by Ewart Abner’s tapping the company treasury to cover personal gambling debts led to the company’s active demise. 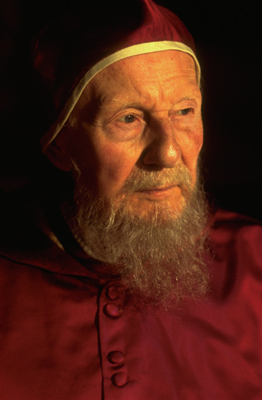 He also kept many of the company’s books, not on paper, but in his head. 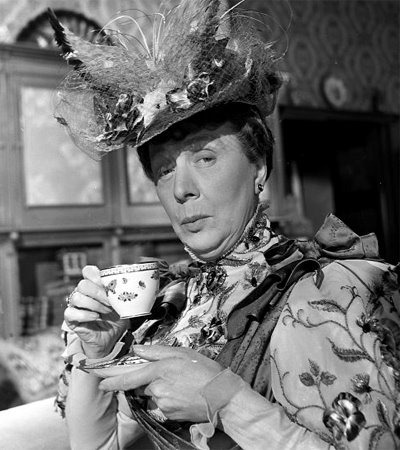 When Beatlemania, and the ensuing blizzard of lawsuits, descended, Vee-Jay was overwhelmed and forced to temporarily cease operations in the second half of 1963, leading to royalty disputes with the Four Seasons and, of course, EMI. The Four Seasons then left Vee-Jay for Philips Records, and EMI’s Capitol Records picked up the U.S. rights for both the Beatles and Frank Ifield. Abner went on to become a key executive, and eventually president, of Motown Records, and principal of Chicago-based Constellation Records. 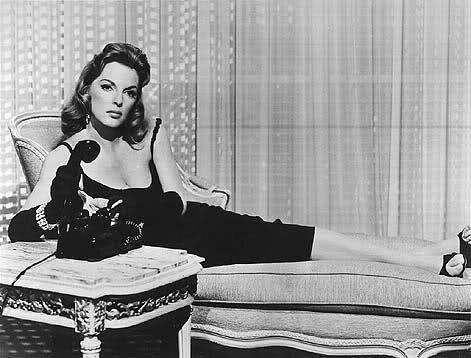 Julie London, perhaps placing a call for an off-the-record interview with Bob Drews. But probably not. Riley Hampton (on alto sax, the second musician from the right in the front row of the band) playing with the Red Saunders band. The dancers in front of the band were “The Hambone Kids.” Search YouTube for “Red Saunders Hambone Kids” to hear the band, including Hampton, playing. Riley Hampton was an important, yet sadly unknown Chicago-based arranger who has been behind some of the most significant doo-wop, Motown, and R&B hits ever written. 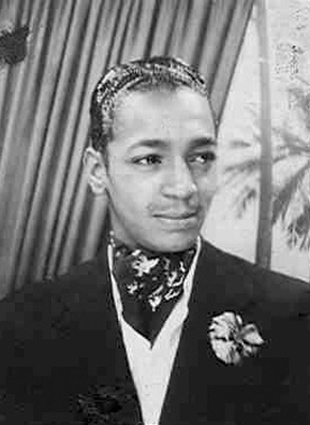 Hampton, originally from Little Rock, Arkansas, was playing with a band in Detroit in the early 1940s when he left the group to take a spot in the Jimmy Murray band in Pittsburgh. In 1942 the band was taken over by Fletcher Henderson and the following year Hampton was drafted into the Army. 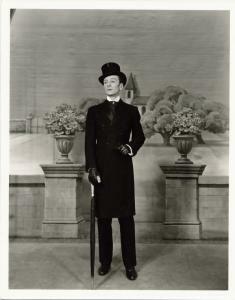 Upon his return in 1946 he returned to the Henderson Band, then playing at the Club DeLisa in Chicago. He played under a variety of directors at the club, finally finding a regular seat in the Red Saunders band at the same venue in 1952. 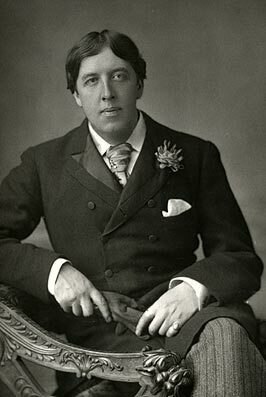 Within a few years the musically talented Hampton was finding more work as a composer and arranger than as a performer. 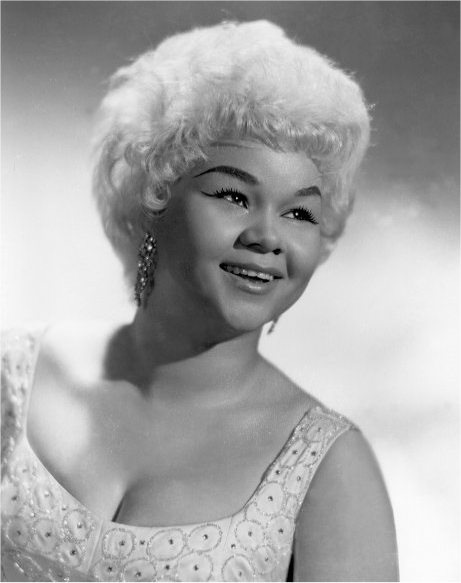 Etta James found fame with “At Last,” arranged by Riley Hampton. By 1955 he was a regular arranger for Vee-Jay, working on a number of songs – including “What’s Buggin’ You, Baby?” – before hanging up his sax for good around 1959 and being named the house bandleader for Chess Records. It was with Chess and a handful of other labels throughout the 1960s that Hampton was part of some of the recordings that made him famous, including Etta James smash hit “At Last.” James gospel style blues singing found a striking balance with Hampton’s pop-like string and horn-focused arrangements. The mixture was magical, producing most of James’ Top Ten R&B hits and launching her career as a major soul singer. 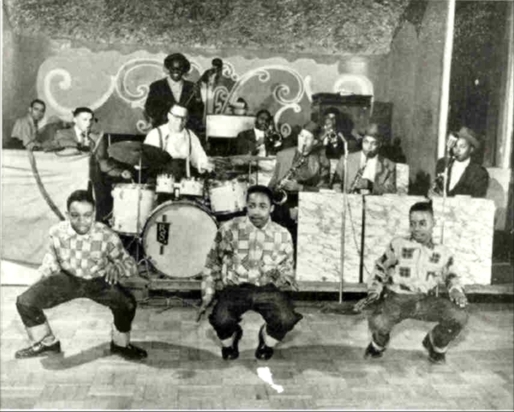 Hampton went on to arrange for Walter Jackson (on Okeh), Curtis Mayfield, Ramsey Lewis, Smokey Robinson and the Miracles, Dee Clark, Eddie Holland, Barbara Lewis, Billy Eckstine, Gene Chandler, Major Lance, Billy Butler and the Enchanters, the Impressions, and the Supremes. 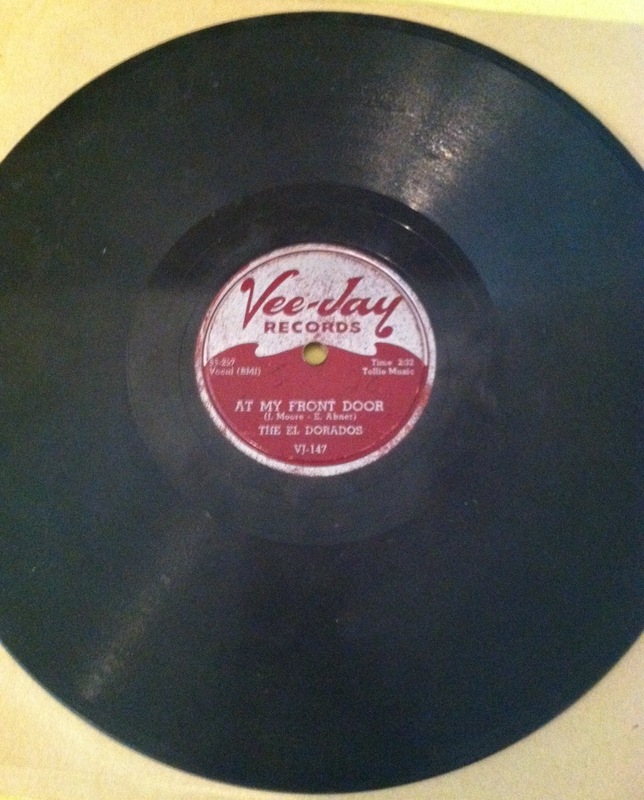 Unlike many of the records in my collection and on this blog, the story of Vee-Jay 147 persists into the present time. After a few decades of fits and starts, Vee-Jay today operates as “The Vee-Jay Limited Partnership” under the management of Michele Tayler. 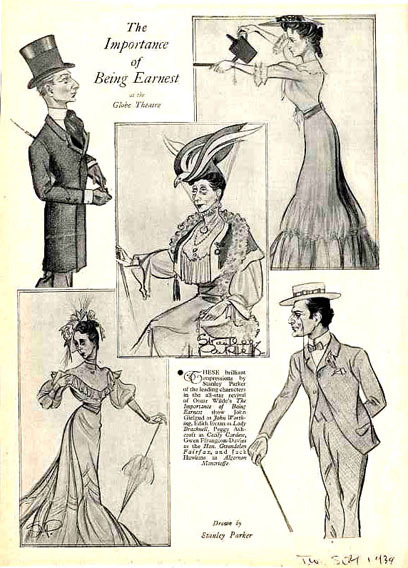 The Connecticut company primarily overseeing the licensing and republication of Vee-Jay songs. The most recent I could find, from twelve years ago, was remastered and released by Collectables Records on CD, including a “Best of Vee-Jay” box set and individual “Best of the Vee-Jay Years” CDs. As for the El Dorados, in 1969 Pirkle revived the group, with new members. 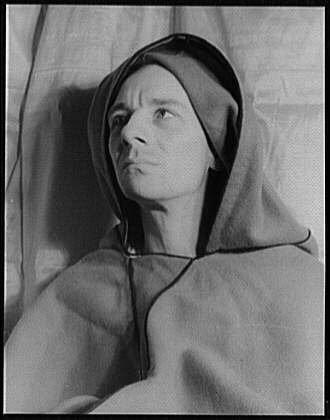 Simultaneously the singer Johnny Carter, formerly of the Tempos, formed his own vocal group also called the El Dorados. After several years of competition, the two groups merged in the 1970s. 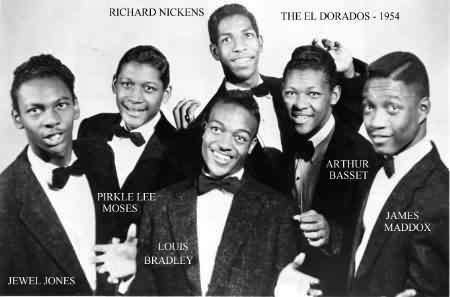 The combined group toured and made records for many, many years and, when Pirkle died in 2000, the group renamed itself “Pirkle Lee Moses Jr’s El Dorados” in his honor. The group, under that name, continued to tour until 2009. After discovering the group persisted, in some fashion, until close to today, I went online to see if I could find out more about the group today – where are they performing, how to contact them, what they are singing in concert these days. Unfortunately, I could not find anything. I’d like to think that 2009 wasn’t their last live gig and if anyone reading this can tell me whether or not that was their last song, I would love to find out. What to do with old records? 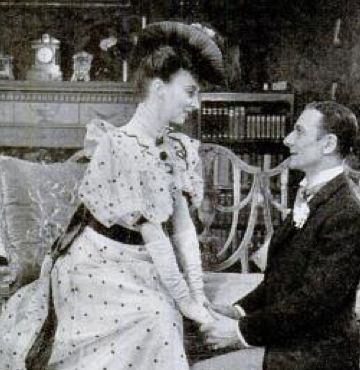 The era of the commercial shellac disc lasted roughly from 1890 to 1960 (the last remaining 78s in EMI’s British catalogues were finally withdrawn on March 31,1962). That’s 70 years, far longer than the LP or CD eras, let alone that of any of the new digital formats.